I’ve had the watch for some time and I’ve gotta admit it’s definitely a gem and I can definitely see why it’s such a popular timepiece. The dial design of the watch is traditional diver’s watch look, which is evergreen and simply good looking. The case is well constructed, beautifully made and very comfortable on wrist (thanks to it being a lightweight). What’s my verdict of this watch? A watch that you have to get, especially if you want a lightweight classic dive watch. But first, let me tell my story of how I got this watch. A Bit Of Story On Why Did I Buy The Seiko SKX013? I’ve been using my trusted Seiko 5 and Sumo almost everyday prior to this. While both watches a good looking and great watches, it’s taking some toll on my wrist. The thing is I’m using computer A LOT. Either at my work or at home, I’m glued to my seat working on my computer. And if you’re like me, a big 44 mm watch (the diameter of the 5 and Sumo) with the heavy weight is a nuisance when using the computer to type. In addition, I like a dive watch that can be used almost anywhere: work, hanging out, gym etc. etc. A one-watch-for-all to be honest. After searching for sometime, the Seiko SKX013 is the one I went for. It’s 38 mm diameter size (smaller means it won’t disturb my typing so much) and lightweight (based off user reviews) won me over. Besides, it has the classic SKX design that I absolutely adore (the SKX013 is the smaller edition of the famed SKX007). In addition, these Seiko SKX watches are famous for its workhorse 7S26 automatic movement that can go on years without service. My Verdict Of The Seiko SKX013? Without a doubt, the little timepiece has won me over. Don’t get me wrong, I still wear my other watches but the SKX013 has always hold a soft spot by virtue of being very different with the small ligthweight case. Enough about me. Let’s get on with the full review of the SKX013 shall we. Quick Summary An evergreen dive watch with timeless design. It’s actually the small version of the hugely popular classic Seiko SKX007. If you think the SKX007 is too big for you, then the SKX013 might well be the one! Update: I’ve recently featured the Seiko SKX013 in my list of the top 10 automatic watches under $200. You guys can check the article HERE. 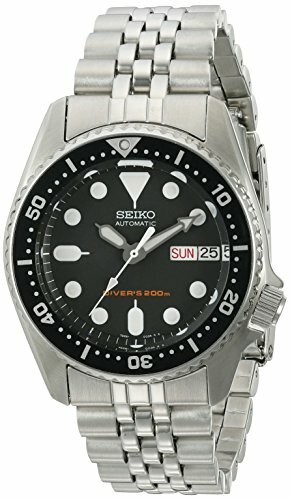 The dial of the Seiko SKX013 has the same design at the SKX007, which is traditional diver’s watch style with matte black dial background. Sure, it’s very simple and not as eye-catching, but the design works. 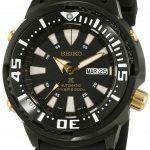 This watch is, after all, a true diver’s watch and function comes over form when Seiko designed it. It has a very simple layout with minimal signatures for the great legibility. The hands are big and oversized, so as the index markers. On the dial is of course the much-loved lume, a compulsory feature on any diver’s watches. 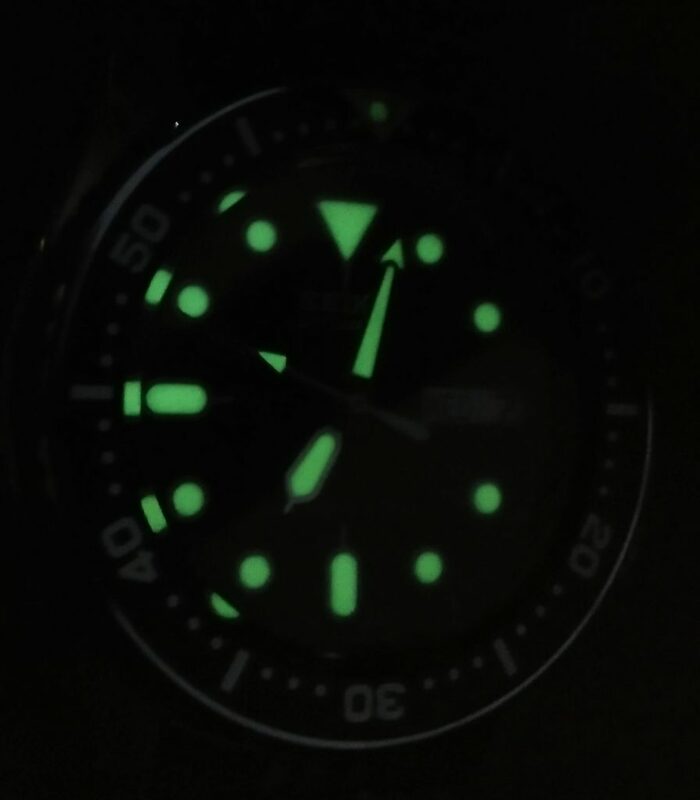 While the lume is strong, I feel that it is not as good as Seiko’s newer models such as the Sumo. From my experience, the lume need to be exposed to longer duration of light before it will glow. In comparison, my Sumo only need to be exposed to a short duration of light. And even in a mildly dim condition, I can see a faint green light coming out of the Sumo. With the SKX013, it’s only plain white there. 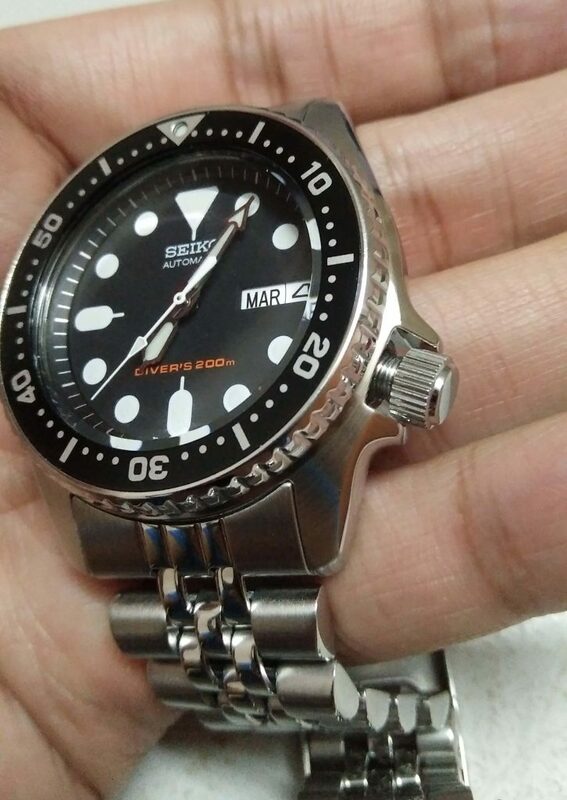 Granted that the Sumo has Seiko’s proprietary LumiBrite paint on it (which make it more expensive) but it will be nicer if Seiko use the same paint on the SKX013. On the right are the day and date displays, which make the watch an excellent choice as a beater watch – the one you can wear to work day in day out. Having day and date is greatly beneficial as it makes an analog watch more useful with the extra information. The crystal on top of it is hardlex crystal, a better type of crystal than mineral but still is scratch-able. So please be very careful in handling your watch or else the crystal face will have some deep and unsightly scars. One unique thing about the crystal is it has a some sort of thickened or beveled crystal edge that distorts light when looking from an angle. This makes there appears to be extra markers when viewing the watch from sides. Viewing from side, the dial appears to have extra markers. This is a unique visual effects on the SKX013 (and also the SKX007) due to the beveled crystal. I can’t say how surprised (in a good way) when I first noticed this. It looks amazing and provide a bit of an Easter egg as I can’t keep track how many times I’ve glanced at the watch just to catch this little effect LOL! 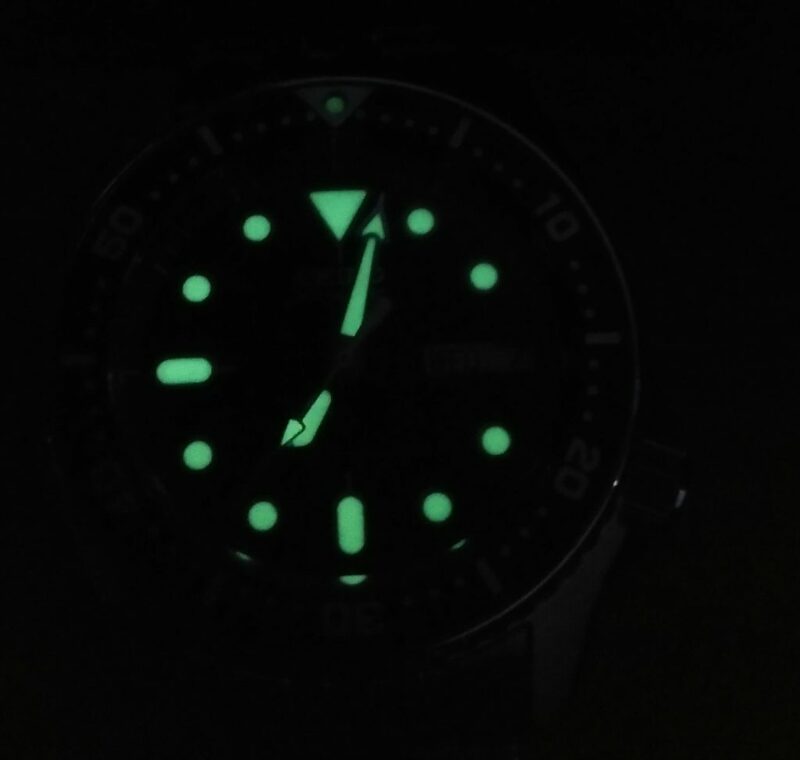 By the way, this effect also can be seen on the lume which is something that I absolutely love as a lume lover. Overall, the matte black dial of this Seiko SKX013 is definitely a traditional diver’s watch design but I find it to be versatile – well, most diver’s watches are versatile. You might think the watch is suitable for outdoor use only, but it’s actually handsome to be used for other activities: work, casual hang out, dinners, for about anything that’s not too fancy. One thing that separates this Seiko SKX013 with the other watches right now is the stainless steel case which is quite small. 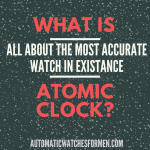 It has a 38 mm diameter – smaller than the typical 40 – 44 mm diameter of watches nowadays. Often times I’ve had questions about will a watch fit into a guy with small wrist, and this watch might just be the answer to all those. At 38 mm diameter, it’s one of the smallest watch in the market right now for guys. Me wearing the SKX013 (please don’t mind the excess bracelet links LOL). Will the SKX013 be too small on your wrist? Yes, if you have a very big wrist size. But for most, it’ll be a good and classic watch size. While the current trend is big oversized watches which looks manly, small watches also has its charm. In my opinion, a smaller watch looks more refined, perfect for those that don’t want to show off. The diameter of the watch is 38 mm with a lug width of 20 mm. With this typical lug width, there is no problem at all to find a replacement strap if you don’t like the look or feel of the jubilee or rubber straps it comes with. Another positive thing about small watch case is it’s much lighter than a bigger watch. For example, I can totally feel the difference between my SKX013 and my SBDC003 Sumo (44 mm). The Sumo, even a very beautiful watch, is much heavier on the wrist which can pose a problem to those new to wearing a watch. So if you’re just starting out to buy your first automatic watch, do look for those with smaller case size. Once you’ve adapted to the weight, you can slowly buy a bigger watch. One disadvantage with this small size is the bezel can be a bit difficult to grip and rotate since it’s smaller than bigger watches. I do find it hard to operate the bezel because of this. In addition, the smaller dial might be an issue with those already accustomed to bigger watch as the dial area is smaller. Indeed, the hands and markers are smaller but the effect is not major as it contrasted with the black dial. One thing that I love about my SKX013 is how gorgeous the case and jubilee bracelet are. It’s stunningly beautiful with all the polishing on it. I admit, I’m a sucker for glowing watches because it looks so nice and radiant, especially when the case reflects light at different angles. 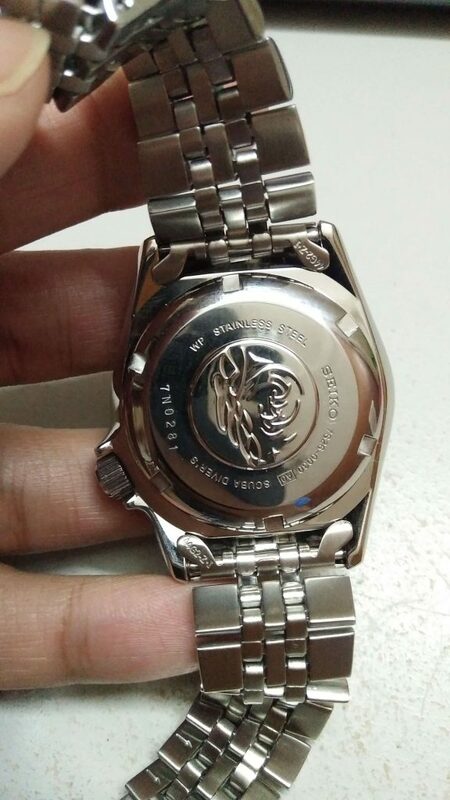 I know some guys might not like it but what I can say is you gotta see the watch for yourselves and decide if it’s something gorgeous or not. To protect the watch from the top is a hardlex crystal, Seiko’s own formulation on mineral crystal. It’s a good shatter resistant crystal for sure, but I found it less scratch resistant from sapphire. 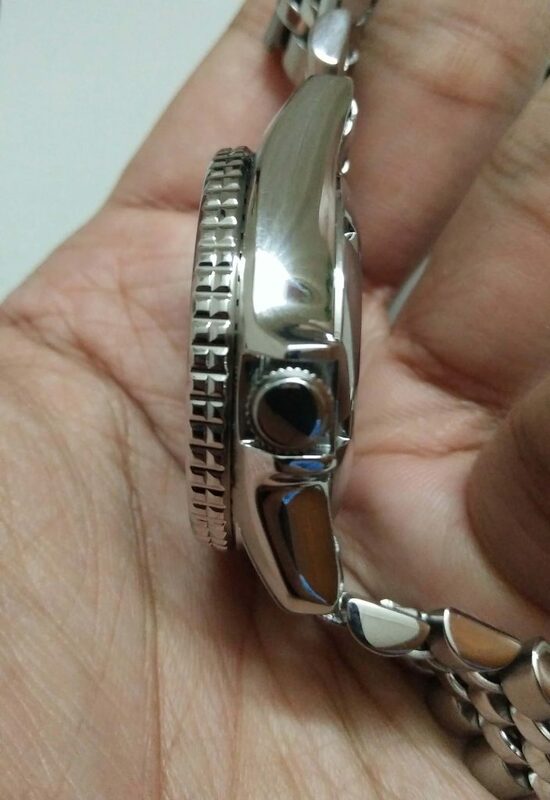 Why Seiko didn’t put the sapphire on this watch? For one, they would like to make sure the SKX watches are good and tough – hardlex is a great shatter resistant crystal – befitting what it’s actually intended to be used. Another reason is simply about cost. 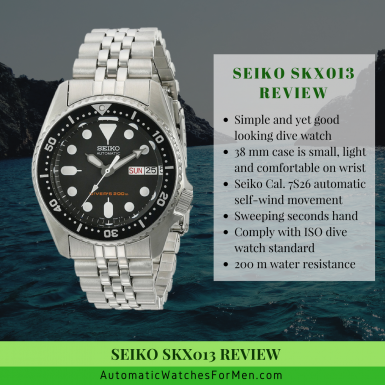 You can’t never ask too much for a watch at this price point and Seiko’s decision is rightfully so since this watch is one of the cheapest auto dive watch in the market for its quality. Just remember guys, treat these hardlex crystals with care or you’ll end up with some unsightly scratches on it. 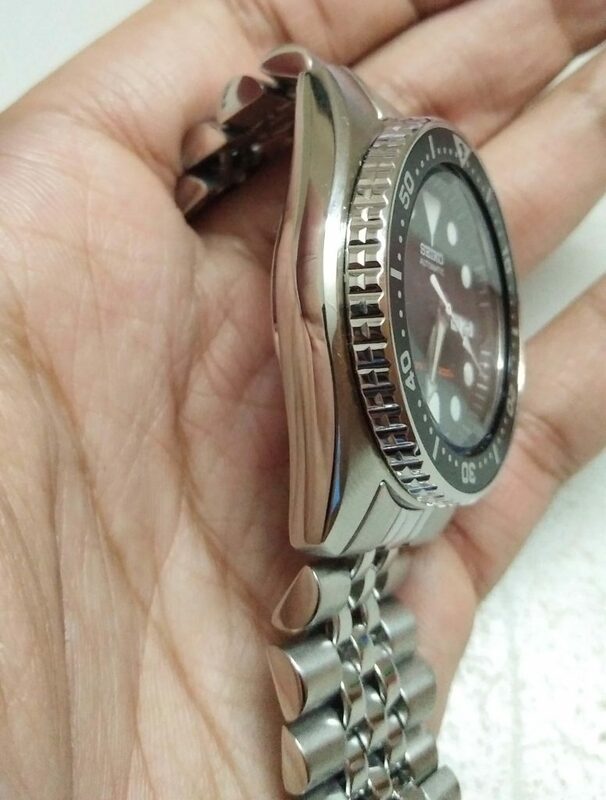 How To Adjust The Jubilee Bracelet On Seiko SKX013? 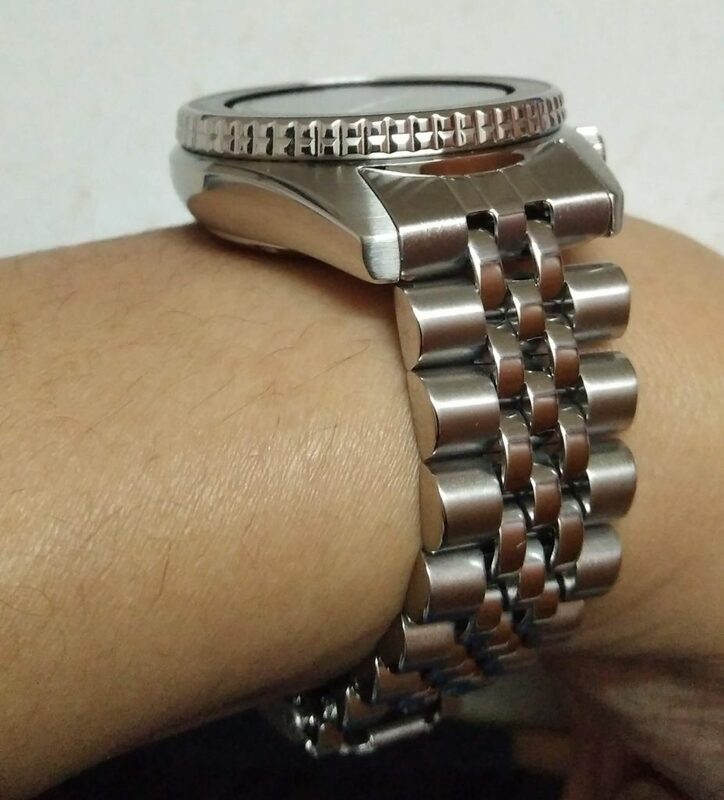 Another thing I love about the jubilee bracelet on the SKX013 is it can be adjusted perfectly to my wrist size because the link size is small – compared to normal oyster bracelets. In addition, the small sized links also conform to our wrist better than a standard oyster bracelet with wide links. Out of the box, the SKX013 jubilee bracelet will need some adjustment by taking out some links from it. 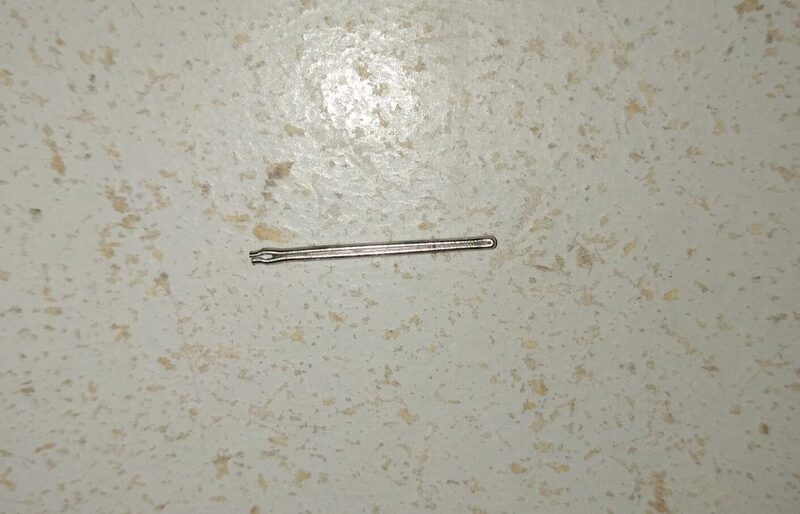 2 pins need to be taken out from each side (total 4 pins) so that we can take 2 parts of the links. Join the bracelet links together using 2 of the pins. This step is fairly simple as you just need to put back the pin into the bracelet hole. It’s basically a reverse operation and don’t require any special tool. If you get stuck, ask me about it or better yet, search it on youtube! As with other Seiko diver’s watch, this SKX013 also comply with ISO 6425 diver’s watch specification. It’s basically an international standard on how a diver’s watch should be; both physical look and underwater performance. (read more about diver’s watch in my post here). The watch case is a sturdy one, with 200 m water resistance rating. This high rating means it’s suitable for any kind of swimming or scuba diving. Having a screw down crown also gives some peace of mind that water won’t get into the watch from the crown’s minute opening. The bezel is a unidirectional rotating bezel which is used as tool to track elapsed time during diving. But we can also use it to track time for anything. Powering the Seiko SKX013 is the workhorse 7S26 automatic movement built and designed in-house by Seiko. It’s a fairly old movement but has lots of testimonials of great usage throughout the years. The automatic self-winding movement got it’s name due to it’s ability to continually recharged its power reserve by hand movement while wearing it. A rotor inside it can rotate when the watch moves while in use, and thus tighten the mainspring which holds potential energy for the watch to move. End result is a watch that don’t need any battery change in its life (yay!). Another great thing is the automatic movement has the signature sweeping second hand that is not present with any quartz watch. The sweeping second hand of the 7S26 movement has 6 beats per second, which is not totally smooth but good for watch longevity. It also has 41 hours power reserve and maximum accuracy of +-15 seconds per day. But Without Hacking And Manual Winding.. The only flaws with this movement is it cannot be hacked and manual wind (I did say it’s an old movement right?). This means the second hand will not stop when setting the time (non-hacking) and the power reserve can’t be increased by rotating the crown (manual winding). It might not be a big deal for some, but others might find the absence of these two features to be a deal breaker. I’d say it’s totally up to you guys on how you are using your watch. One gripe that I’m having is not having the ability to perfectly time the watch to my watch accuracy checker app. It’s quite a bother but otherwise, the movement works perfectly. If you’re afraid that the watch will be hard to start after idle since there’s no manual winding, I can say there is no need to fear that. I can swear that the seconds hand moves just with small shake of the watch. It’s miraculous how the 7S26 can moves just with a small movement. That shows the efficiency of self-winding movement in it. What I usually did was to take it up and set the time. Then I give it a few shakes and immediately wear it. And it will works well throughout the day without any issue. Just make sure to always give it some good shakes before wearing. While the self-winding movement is good enough, I find that it’s a good practice to shake it up a few times in order to recharge its power reserve. That way, we will reduce the possibility of the watch dying on us (because of low power) while at the same time increasing its accuracy (all automatic watches are most accurate when it has high power reserve). What Is The Seiko 7S26 Movement Accuracy? Aesthetic aside, accuracy of the watch is another important aspect that most people put in the highest regard. I mean, a watch has to be accurate right? 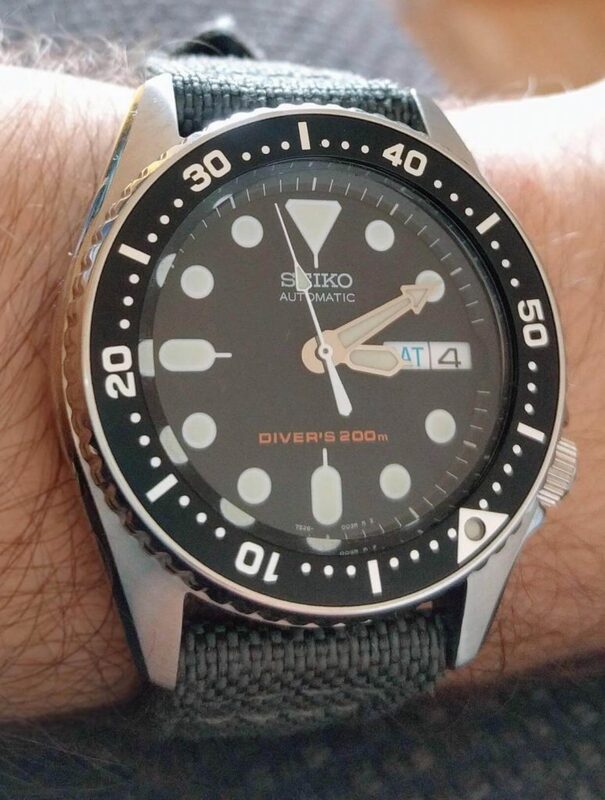 For the Seiko SKX013, I found that its accuracy to be good – in fact the 7S26 movement in it is much better than what I expected. Below is the screenshot of the accuracy test on the SKX013/7S26 taken using the app “Watchcheck“. I’ve taken this test over a 3 days period. I tried to make sure the test is done within a good usage cycle to represent the “normal” usage of the watch by desk divers such as me. #2 at the end of my working day (5,6,7 pm) before I lay off the watch. To my surprise, the SKX013 actually is more accurate when I was wearing it : the 3 readings of+1.4, +2.5 and +1.5 seconds per day are totally out of this world man! It beats chronometer specs all the way! 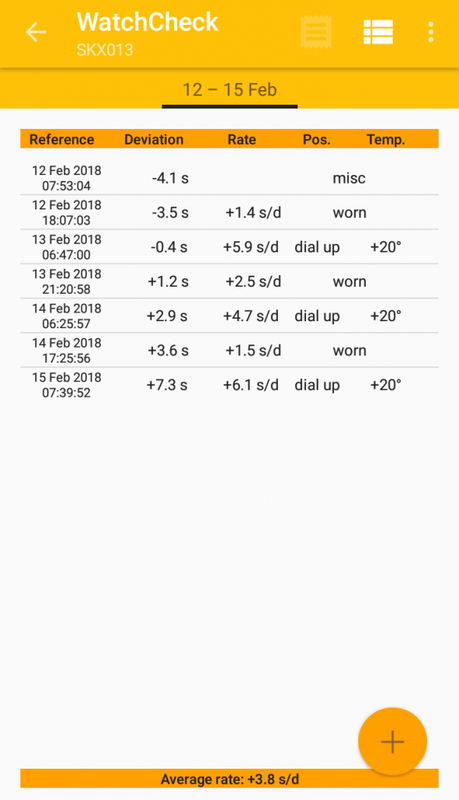 The readings when I was laid down (I always put my watches dial up to avoid scratches on the crystal) are less enthusiastic at +5.9, +4.7 and +6.1 seconds per day. I swear I initially thought the dial up position will have the best accuracy but I was wrong. And I was really pleased when the average rate of the 7S26 movement shows it has an accuracy of just +3.8 seconds per day, better than chronometer specs! How about that for a sub-$250 watch! I forgot to mention that my SKX013 is a month-old baby and it’s movement is fairly new and I believe this readings will go down as I’ve used it quite a bit along the way. Of course, this readings are not universal and I’ve found that some watches will have different accuracy even if it have the same movement. It actually depends on your luck sometimes. Just remember that if your 7S26 movement (either in this SKX013 or SKX007 or others) have a horrendous accuracy of greater than half a minute per day, it’s due time for a visit to your watchmaker. And if it’s a new watch, you definitely have to ask for refunds or replacement as something could be wrong with the watch. 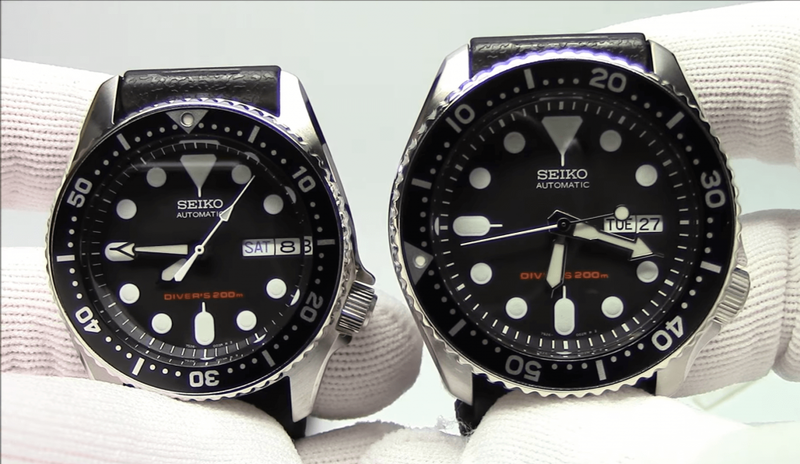 Seiko SKX013 vs SKX007 – So What’s The Difference? From a glance, both of Seiko SKX013 and SKX007 really looks alike. There are small differences in the dial design if you really observe them, though it’s not so much of a big deal. The biggest difference is the size, with SKX007 being the larger watch. The you have it. Like I said, there is not much difference in the design except for the smaller case size (SKX013) which is very important. Some people like their watches small while some like it big. But apart from aesthetics, I want to highlight that the bigger watch is also a heavier watch. Without a doubt, the SKX007 is heavier than the SKX013 and this an important thing to consider for anyone deciding on these two timepieces. 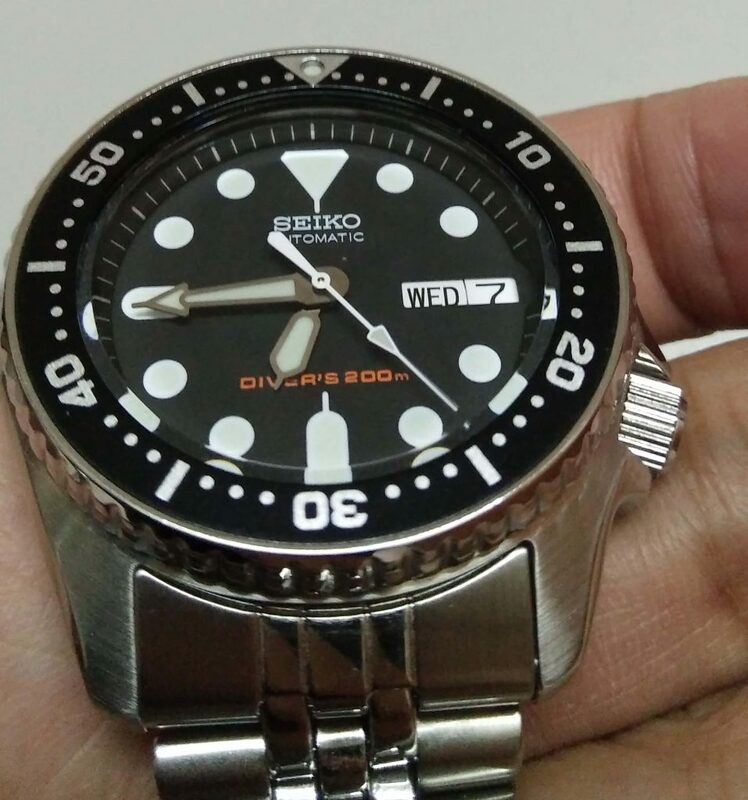 So Who Is The Seiko SKX013 For? In my opinion, anyone wanting a good diver’s watch can use this. As I’ve said before, smaller watches will make the wearer look more refined and has classic look, as compared to bigger, more rugged style of watches nowadays. Women also will find the Seiko SKX013 to be perfect for them since they usually have smaller wrist than guys. It’s still bigger than normal women’s watches, but much smaller than the SKX007. 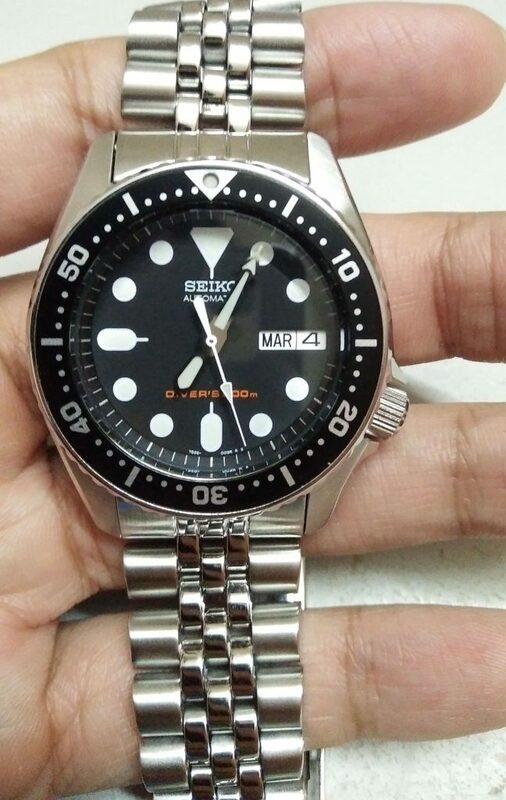 Where To Buy The Seiko SKX013? If you like this Seiko SKX013, then the only way to get it easily is with online retailers such as Amazon, Ebay, etc. The SKX013 is considered an older model and is not present in any official Seiko boutiques. So you can imagine that it’s quite hard to get a hold off. You might be lucky to stumble upon one in a watch shop though. Fortunately, with the boom in online retail, buying older model watches like this is easier than ever. You can order one on Amazon from the comfort of your home. Click the link below to check the price of the Seiko SKX013. Jubilee Bracelet or Rubber Strap? You can also pick whether you want the jubilee bracelet (SKX013K2) of the rubber strap version (SKX013K1). My recommendation is to go for the jubilee bracelet as it’s more durable compared to the rubber strap. Straps can easily worn out with frequent use. Not to mention the rubber might get “sticky” after sometime in the storage box. While I really enjoyed the petite and more classic size of the SKX013, some guys might prefer a bigger watch for the more masculine look. For this, I’d suggest to check on the SKX007 instead as it’s basically the same watch but with a bigger case. If you don’t prefer the dive watch design but still want the automatic movement, you might want to check my post on the 10 best automatic watches under $200 for some of the best bang for buck watches in the market right now. Seiko SKX013 is definitely a great diver’s watch. Even though it has a simple no-frills traditional look to it, it’s strengths is in the very functional design. Not to mention the black dial is very versatile and can be used almost everywhere (except for black tie events of course). It can be regarded as the little brother to the SKX007 since it’s actually the smaller version of it. There are also some differences between these two watches in the dial, but I think those are too small to really bother with. At last, it comes to how big is your wrist, and which do you prefer: the bigger more manly look of SKX007 or smaller, classic and more refined look of SKX013. I hope you guys enjoy this Seiko SKX013 review. Let me know if you guys have any questions regarding the watch. 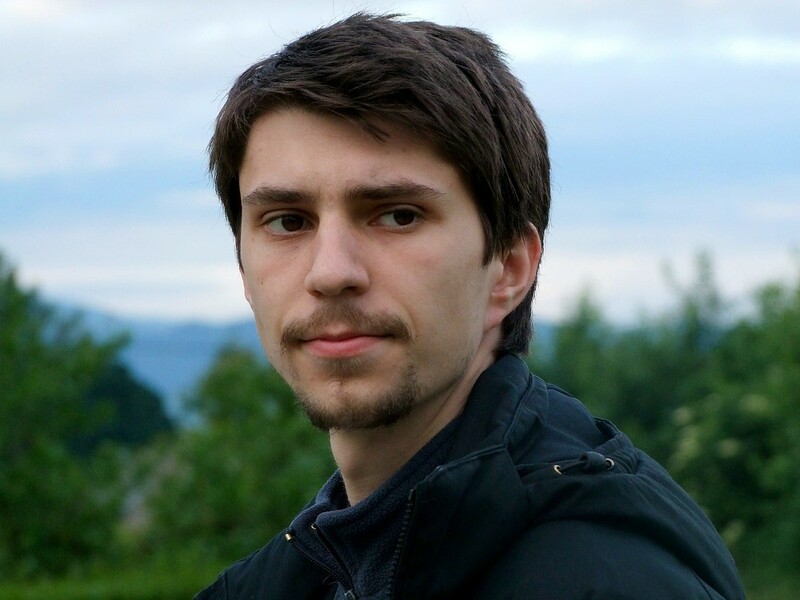 hi.my name is arash.i am from middle east.i study your website contents and to my opinion your contents is very usefull.i appreciate for your quest.good luck. Hi there. I’m glad that you found my website useful. Do let me know if there’s anything I can help you with. 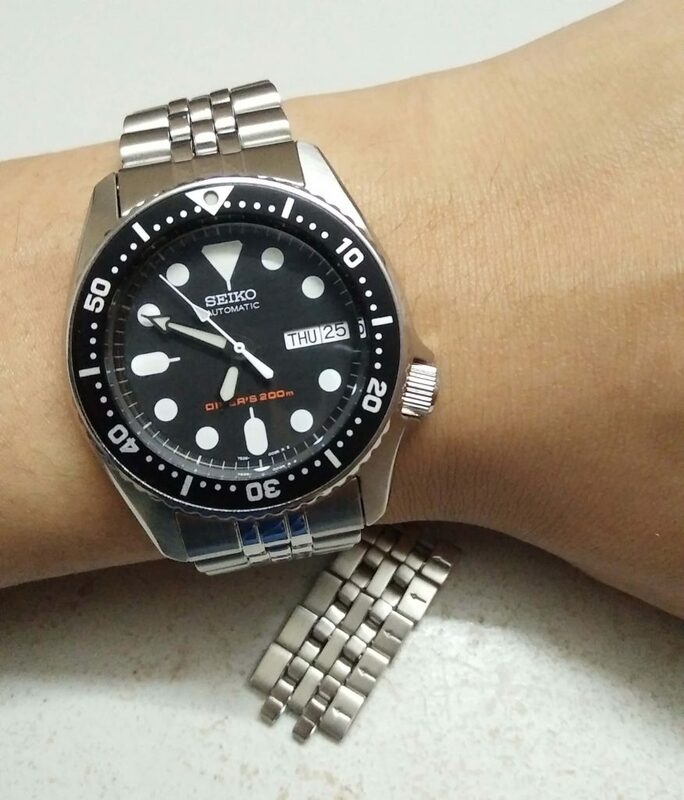 Thank you for the thorough review of Seiko SKX013. I really like this watch even though it’s named as Men’s – I guess it’s not an obstacle for a woman to use it, is it? 🙂 My only problem would be my extremely thin wrist but I see you suggested for some other commenter to get leather strap. Anyway – just wanted to check with you – do you know if there is also women’s version of this watch out there? My man was looking for a watch that had the date on the dial, after he ended up getting one he really liked but was missing that feature. I’m glad I stumbled onto this. I love that you added the part about how to adjust the length of the bracelet itself, that could definitely come in handy to know. Hi there. I’m happy that I’ve been able to help you and your guy. Hi Kenny. In my opinion, she will definitely love how light and small the SKX013 on her wrist. It’s definitely not as heavy as other currently normal divers which fits with her small wrist. Have a 3 watch collection total under $500. Looking at doing a 3 watch under $1000 but this time needs to fit both my 6.75 wrist and wife’s 6.0 wrist. Therefore watches need to be under 40mm with a 20mm lug. 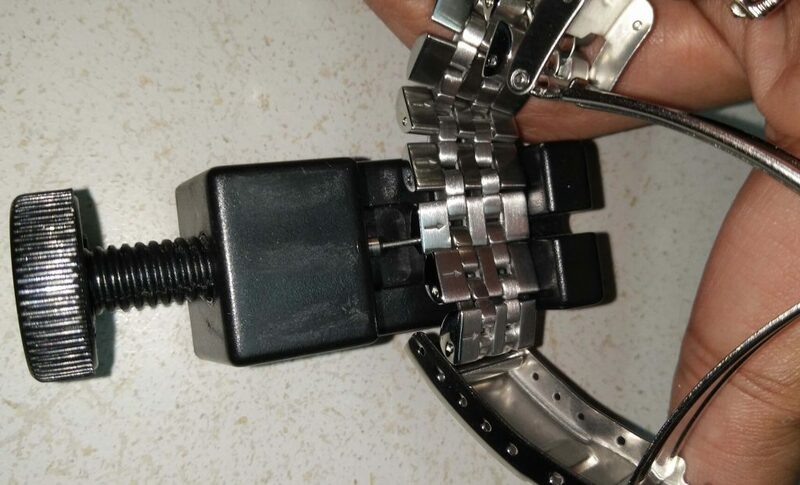 A small number of 20mm straps/bracelets should allow for a variety of looks on the three. While the EDC field, infantry, military style watch will be the Seiko SARB 017 Alpinist. I believe the Seiko SKX013 will fill the sports/diver watch roll well. Nice collection you have there. The SARB017 and SKX013 really fit into the role you’ve designated. The Orient Bambino is the watch closely resembling the Marlin that I’ve encountered. It also has the domed crystal. You can read my review of the Bambino here for more info. The one that I’ve reviewed is in black though there is also a white version of the watch. If that model is not what you’re looking for, consider going through Orient’s website (click here) for their other watches. Orient is one of the often overlooked brands that actually has a lot of nice watches under it. The Bambino watch has at least 4 different iterations, all with domed crystal but different dial design and movement. Hello, I noticed that you didn’t mention where the SKX013 is made… there is a SKX013J (made in Japan) and a SKX013K (made in Korea). I’m trying to find an SKX013J but can’t seem to find any for sale. And true enough, the J version can be hard to find. But I did bumped into them awhile back so if you really want one, you need to always check all those online watchshops (amazon.com, ebay.com, longislandwatch.com, jomashop.com, etc.) for it. Best of luck buddy! Yes you’re right Erfan. But I believe most Seiko watches are bilingual i.e J got English + Kanji while K got English + Spanish or Arabic numeral. Hi Lily. Thanks for the kind words. I’m glad my review is beneficial to you. Hi Isaac, I am a fan of Seiko, it’s the most reliable watch that I know. After reading your article I had decided on the model for my hubby. I planning to get the SK007 for my hubby birthday, I just love the design and I know he will love it too. hi there Isaac. I really loved your website. I am a watch geek from my childhood. My dad is also a watch geek and we have got certain models of citizen and movado and also rado. I loved it. Especially the seiko’s. And I also looked moavdo museum edition it is a superb watch. I am definitely getting that. Thanks for your effort.. keep it up. Finally, there is a smaller version of this Seiko automatic watch as I aiming for the SK007 but too bad I have a small wrist. Was a bit of disappointed since then. Now I am glad to know there is smaller version and the best thing is I like the Jubilee bracelet. I am going to get this and let you know review once I receive it. Thanks for letting me know about the smaller version for this model.